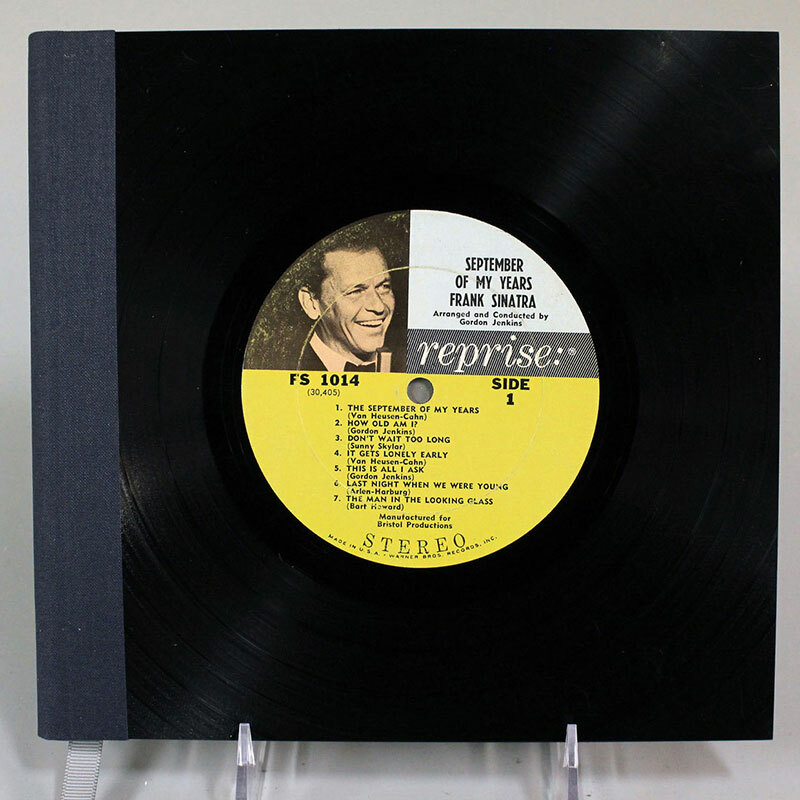 This journal features Frank Sinatra's 1965 album September of My Years. Made from acid-free paper, this journal measures 8 1/2" wide by 8" high. The front features Side 1 of the vinyl and the back cover is made from part of the actual album art. 220 unlined pages on 7-7/8" x 7-1/2" high quality 70 lb. acid-free paper.